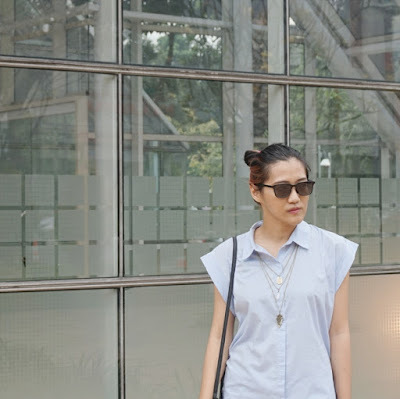 Kadya Kirana: Oversized 'em up! Okay I admit it, few days back I've been a fan of simple clean and sleek look. So now I'm giving you a sneak peek of how I wear my oversized shirt, and get the unformal classy look! 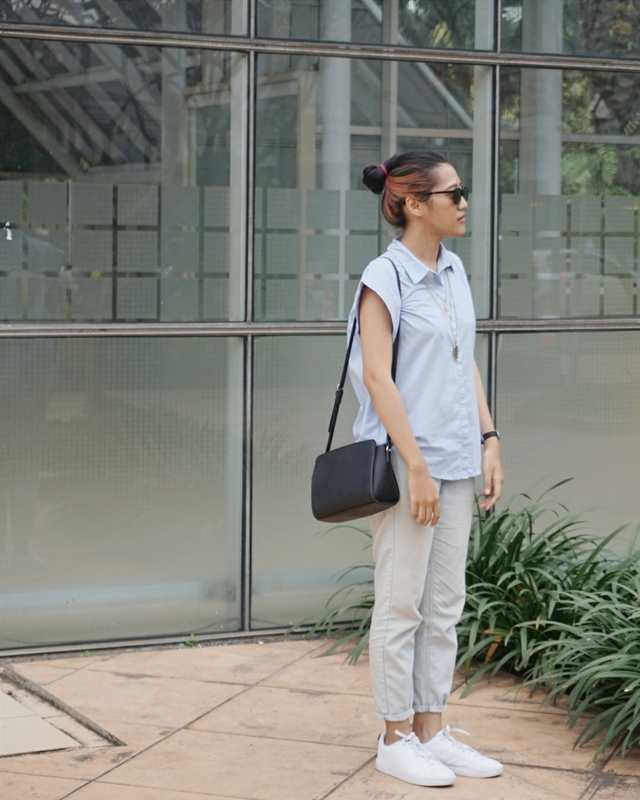 I matched my oversized shirt with pale denim pants and white sneakers. To complete the look (without making it complicated) I paired them with gold necklaces, sunglasses, and a black sling blag. It's easy because I know you have all these in your closet! Anyway now I'm still a jobseeker and in the mean time, I write for this blog and also being a blog contributor for one of the most inspiring brand. Exciting I know! Hey I've been thinking to make a hashtag for my outfit post, any idea? Hit me on the comment box below! See you, loves!